A wine and spirits company has married two unlikely companions and bottled a dessert trend with vodka, marketing it towards a clearly defined demographic. 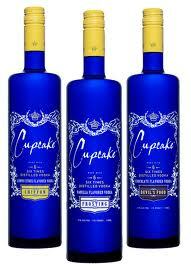 Cupcake Vodka was launched this week in the US and comes in four flavors – Original, Chiffon, Devil’s Food and Frosting. The cupcake-flavored vodka puts an adult twist on a childhood dessert that’s become a food fad in recent years across North America and Europe. As a sweet dessert vodka, it’s also aimed at a particular market, the company says – the millennial generation or Generation Next, those of legal drinking age born after the late 1970s.